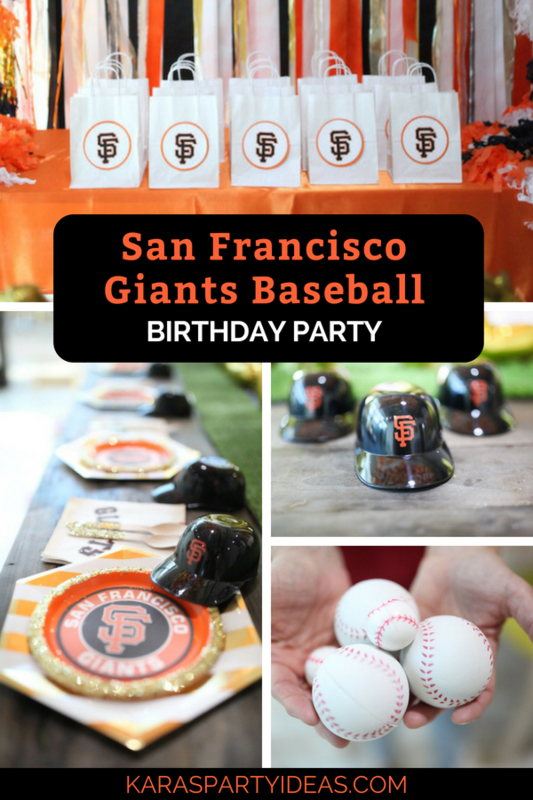 Grab your bat and step up to the plate, this San Francisco Giants Baseball Birthday Party is first-rate! 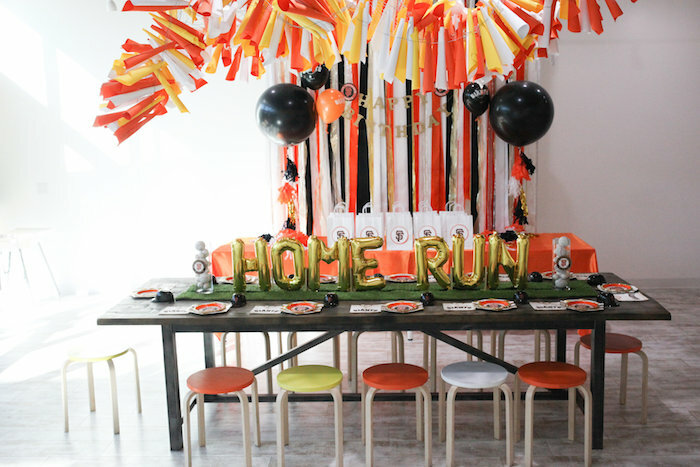 Styled by Robyn Rockwood of the COOP South Bay out of Redondo Beach, CA; this fabulous birthday bash is packed with fun details to get your runners home! 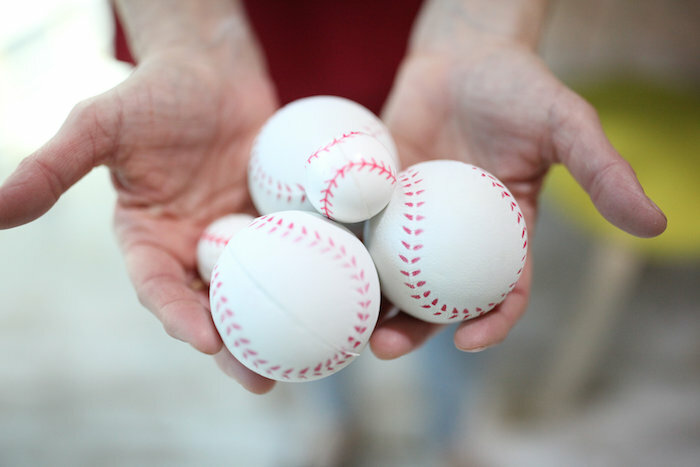 “This ones for all the San Francisco Giants fans out there! 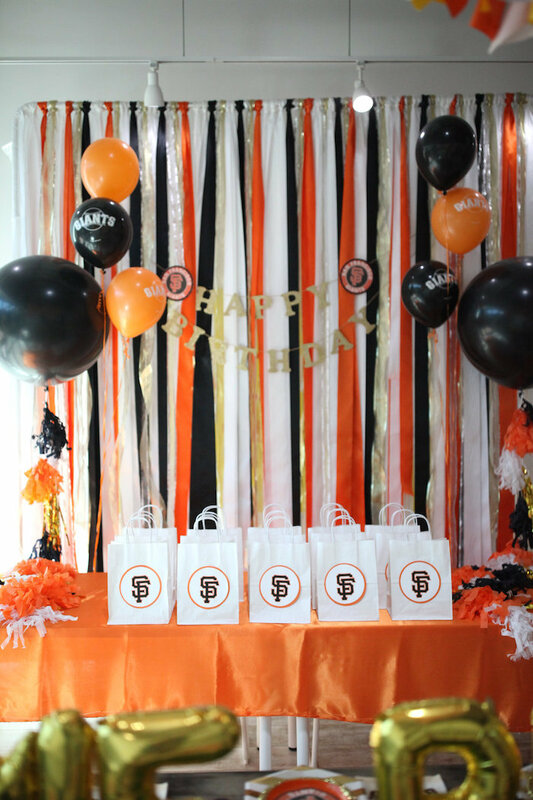 We had a blast creating this custom San Francisco Giants theme party for a little boys third birthday! 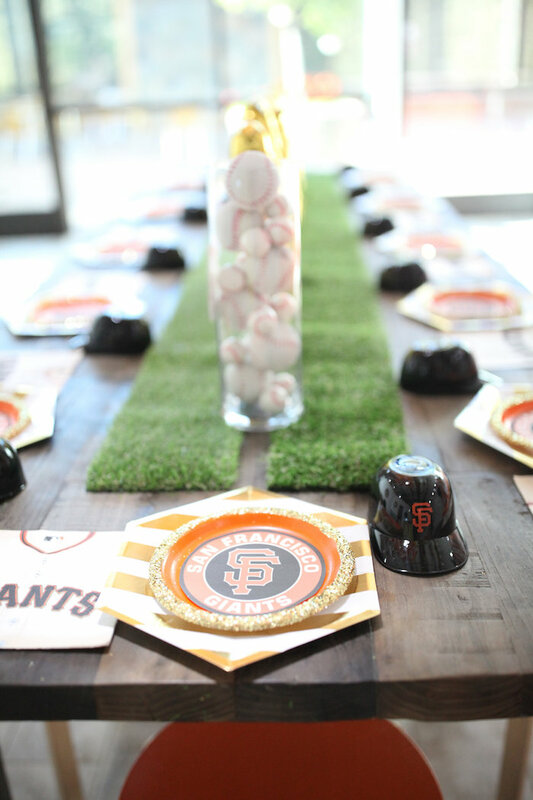 We started with a bright green grass runner to simulate a baseball field, and added gold mylar letters across the table, spelling out HOME RUN. 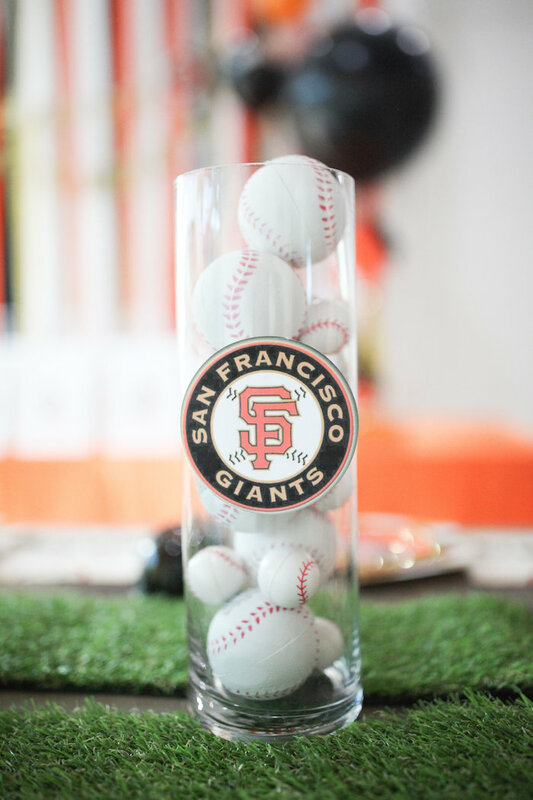 Tall cylindrical glass vases decked out with Giants logos were placed at either end and filled with baseballs. 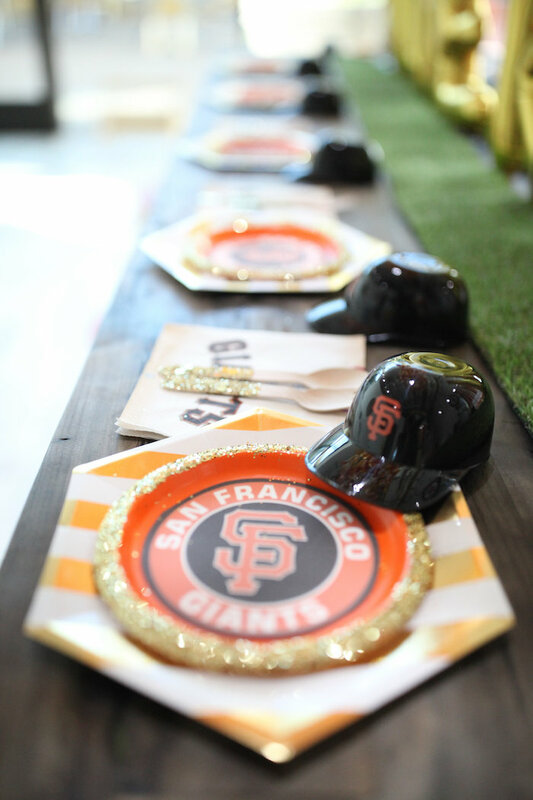 It was easy to find lots of trademarked Giants décor and we chose a few items to create a fun plate décor. 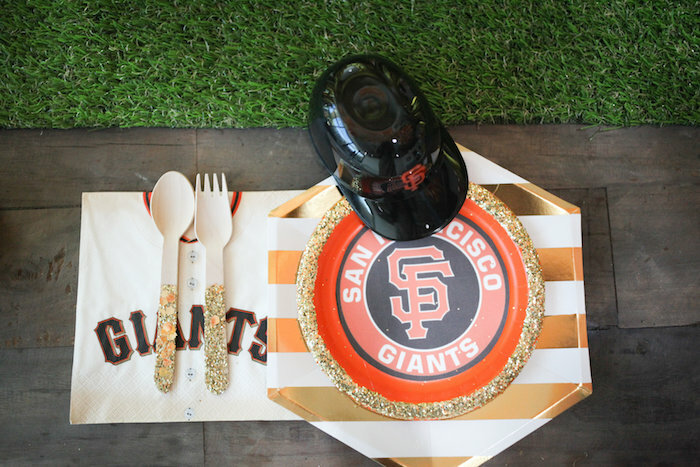 The plate décor included personalized SF Giants plates with a gold glitter trim, to create that extra shine. 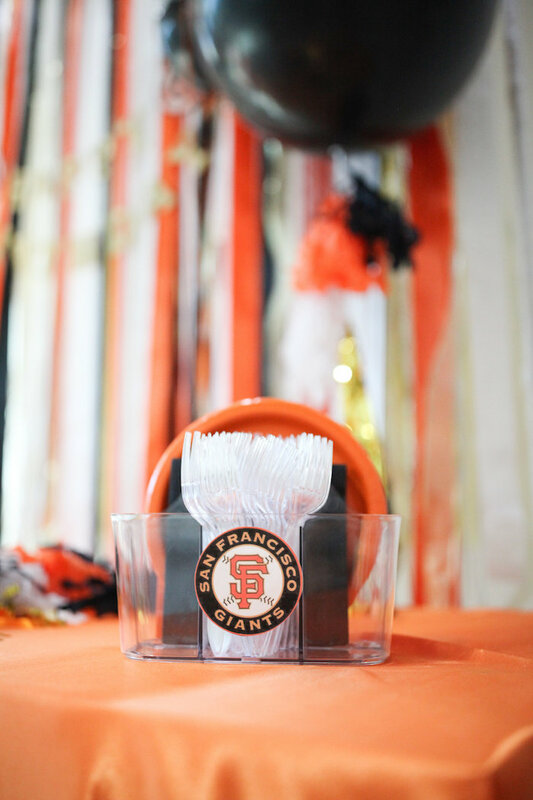 We added themed napkins resembling Giants players baseball shirts. 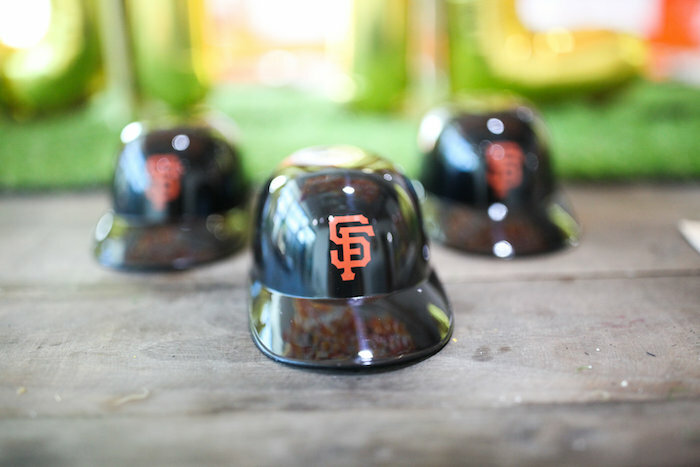 A plastic baseball helmet with a logo accompanied each set up.